According to a recent study, $1.6B was invested into 77 digital health companies in Q1 2018. This is the healthiest quarterly start to venture funding since Q1 2016 ($1.4B). As digital innovation transforms traditional care delivery and creates engaging experiences for patients and providers, it is essential for healthcare companies to implement a digital strategy that benefits every stakeholder–patients, providers, suppliers, payers, policymakers. Understanding the complexities of these parties, encouraging adoption and converting data into actionable information is just a few strategic foundations that could drive better outcomes for your business. Companies that have developed a new health solution would do well to invest more in understanding the ecosystem to ensure that every part of their solution works together to create a positive, seamless experience. At Karten Design, we learned that it is essential to study the entire ecosystem to develop impactful solutions and improve the healthcare experience. Our "Voice of the Ecosystem" approach is a framework for innovation and provides companies with strategic areas for opportunity rooted in a systemic view of stakeholder needs and experiences. It is essential to understand the entire consumer journey and experiences by covering dynamic issues that are continually evolving in consumers' everyday lives. Identify the fundamental needs of all stakeholders to apply new technologies in the most effective and meaningful way beyond its allure. Knowing how to convert data to information for where and when users need it is critical. It is essential to consider the patient journey, experience mapping, and clinical workflows to discover unmet needs within the world of health. By understanding the dynamics of these relationships and workflows, companies can identify areas ripe for digital innovations. For example, in Karten Design's project for Halyard Health, recording pain scores was the simple data point that served multiple purposes for the patient and provider. This simple task became the hook that created "stickiness" with patients. Assigning, and incentivizing, a dedicated team with the job of moving fast is an essential organizational move. Apply lean processes that emphasize speed as much as they emphasize quality, efficiency, and eliminations of waste. Prototype to receive customer input quickly. Fast innovators test prototypes with customers, worrying less about the imperfections that they know are there and focusing more on the insights they may gain from consumer reactions and feedback. Good innovation systems take advantage of the experience curve to speed up the entire process. From wearables and on-demand solutions to clinical devices and wellness apps, big data has already begun to make us rethink how we treat patients. There is no more significant opportunity to leverage big data and significantly impact healthcare delivery, healthcare systems, and bolster the patient/clinician relationship. For example, data taken from favorite fitness apps and wearables could shift the focus to preventative care, even identifying the earliest indications of future disease. According to a recent Health Trends Report published by Stanford Medicine, data has the potential to significantly impact clinicians and providers, how institutions partner together, how to rationalize cost, and how to protect patient privacy. The story of data's impact on healthcare remains to be seen, but it's inevitable that its reach will go beyond day-to-day care. 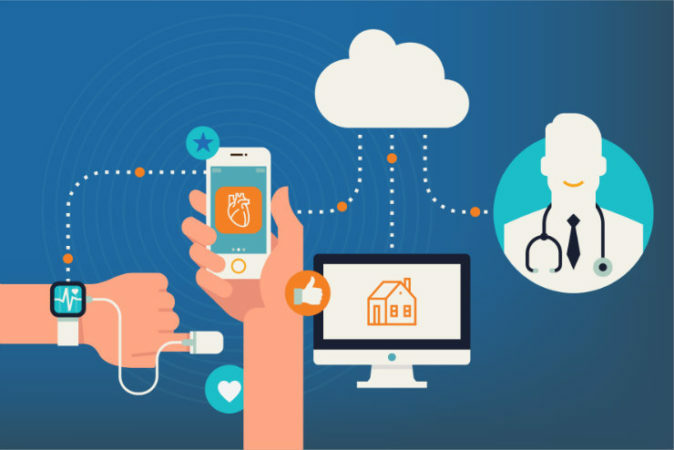 As wearable sensors, connected devices and AI-powered apps emerge as viable medical devices; it's not hard to imagine a future in which technology plays a significant role in patients' healthcare experiences. As a result, there are unique opportunities for digital health companies to innovate and create engaging opportunities for healthcare consumers, the likes of which we have never seen before. How companies develop digital health platforms, monetization strategies, harness the flood of data and encourage adoption are just a few critical factors that could make or break better outcomes for your company.